If you saw my Facebook post the other day, you already know I had an interesting run-in with a delivery man. Well, God had something to teach me from that encounter. And this is the result. 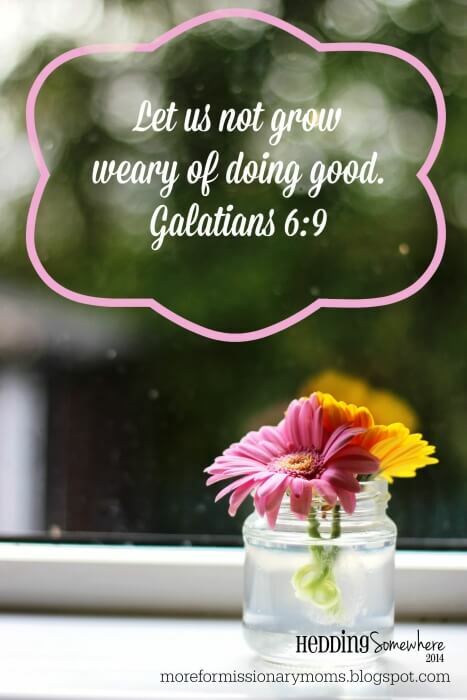 I’m sharing about it over at Missionary Mom’s Companion today. Why don’t you pop on over and say hello? The other day, we had a delivery man at our door. While I was receiving this delivery, he tried to make conversation with us. He made a comment about our son’s accent sounding like the local accent, which led to him questioning me why my husband and I would choose to live here if we’re both American. It seemed this man couldn’t get his mind around why we’d choose to work for our organisation here, when we could give our children a “better life” in America. I’ll be honest—I struggled not to get angry with this delivery man after he left. He genuinely didn’t understand why we’d come to this part of the world to work for a charity.